KIOSK has been creating sports betting kiosks for many years, with many custom sports betting platforms. Contact us for a solution consultation to see how our experience can help you launch your sports betting kiosk or sports betting terminal solution. 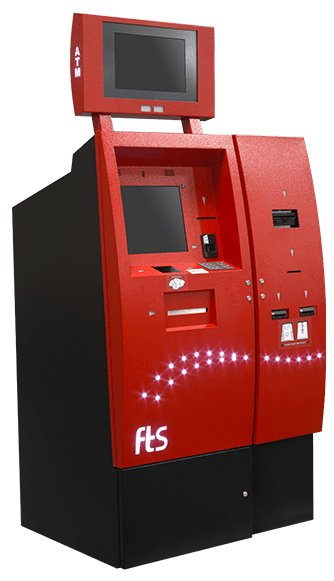 KIOSK has a wide range of self-service gaming solutions – from traditional redemption and cash-in / cash-out transactions to enrollment and loyalty platforms; sports betting kiosk systems, sports betting terminals, event ticketing, and digital signage. 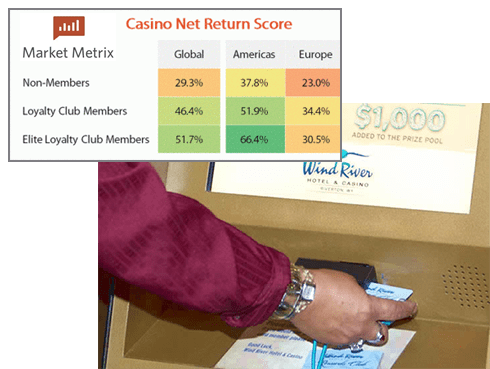 Casinos such as Caesars, Empire, Hard Rock, Riviera, RIO, and Planet Hollywood have leveraged KIOSK enclosures for promotion and loyalty applications, providing guests with automated access to points information, special offers, and incentives vital to growing repeat customer profits. Custom transactional solutions for self-serve sports betting have been created for several top companies – all enabling operators to realize increased betting revenues while keeping their labor costs optimized. KIOSK provides a full range of standard and custom self-service platforms designed to keep your casino solution overhead minimized and your loyal customers rewarded. Gaming loyalty programs go beyond traditional retail solutions. Contact us to learn more about how casinos and loyalty programs will complete your gaming kiosk environment. 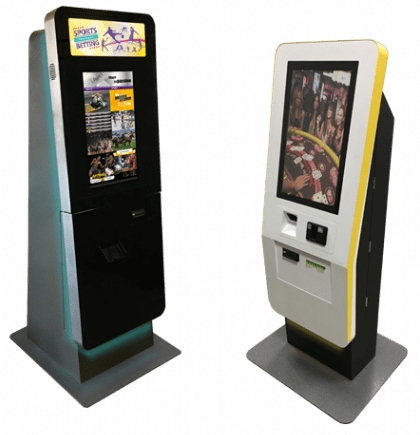 KIOSK provides a full range of custom redemption solutions from basic TITO to full ATM enabled multi-function kiosks (m3t shown right). Contact KIOSK, a leader in gaming kiosk manufacturing, for a custom solution consultation.